SR!! **CLEAN CARFAX**, One Owner!! !, LOCAL TRADE IN! !, NON-SMOKER VEHICLE! !, Sentra SR, 4D Sedan, 1.8L 4-Cylinder DOHC 16V, CVT with Xtronic, FWD, Gun Metallic, Charcoal w/Cloth Seat Trim, AM/FM radio: SiriusXM, Brake assist, Electronic Stability Control, Exterior Parking Camera Rear, Heated door mirrors, Heated front seats, Panic alarm, Power door mirrors, Power windows, Premium Sport Cloth Seat Trim, Radio: NissanConnect AM/FM/CD Audio System, Remote keyless entry, Security system, Spoiler, Steering wheel mounted audio controls, Turn signal indicator mirrors.Ken Garff Nissan of Orem is delighted to offer this gorgeous 2015 Nissan Sentra. SR Gun Metallic FWDIncludes GarffCare! (Complimentary Towing along Wasatch Front, Roadside Assistance, Complimentary Multi Point Inspection, Flat Tire Repair, and Car Wash with every Service Visit)Recent Arrival! CARFAX One-Owner. 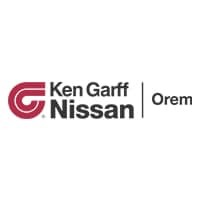 Ken Garff Nissan of Orem is honored to offer this wonderful 2017 Nissan Sentra S. **CLEAN CARFAX**, One Owner!! !, NON-SMOKER VEHICLE! !, Sentra S, 4D Sedan, 1.8L 4-Cylinder DOHC 16V, CVT with Xtronic, FWD, Cloth Seat Trim, Front Bucket Seats, Panic alarm, Power door mirrors, Power windows, Remote keyless entry, Speed control, Steering wheel mounted audio controls.Includes GarffCare! (Complimentary Towing along Wasatch Front, Roadside Assistance, Complimentary Multi Point Inspection, Flat Tire Repair, and Car Wash with every Service Visit)Recent Arrival! CARFAX One-Owner.